When I fell on an icy driveway 5 years ago, my head hit the concrete and I blacked out for a short time. When I was able to get up, I knew something was wrong with my vision. I could barely focus on the screen as I searched for directions to the closest urgent care center. Over the ensuing weeks, I recovered physically from my injuries — the whiplash, pulled muscles and dislocated sternum. But the effects of the mild traumatic brain injury (mTBI) that I suffered that day proved longer lasting. I had aphasia, short-term memory problems, difficulty processing multiple stimuli and a host of what I now know are visual-vestibular symptoms, such as dizziness and poor tracking, fixation and saccades. My optometrist believed me, but didn’t know what to do about it, since my visual acuity was unchanged. I saw a neurologist, a neuro-ophthalmologist and many other specialists (more than 70 doctor visits in all), without much relief. As a professional photographer, I was terrified that the sense I needed most for my work — my vision — seemed permanently affected. I’m a good advocate for myself, yet I still found it difficult to explain my symptoms to doctors effectively. I was told to rest and to “wait a few months” to see if things improved. Some doctors suggested that I was “faking it” or depressed. Finally, after blogging about my experience and gaining 10,000 followers who were struggling with similar effects of mTBIs, I learned about functional neurology and neuro-optometric rehabilitation. I went through lots of simple eye exercises and cross-body exercises to help my brain better integrate information from the right side of my body. Although certain visual experiences can still trigger the same sensations, I’ve been able to largely recover thanks to vision rehabilitation therapy. --Even a mild concussion can cause significant visual-vestibular problems. --Symptoms may be immediate or take some time to manifest and they can last months or years after the injury. --Rest is not sufficient to resolve the symptoms. --Vision therapy isn’t just for children — it can help adults like me, too. Unfortunately, the treatments that help the most are often not covered by insurance, but it is still worth referring patients for care that can improve their quality of life. I have so often thought how different my recovery could have been if I’d been treated sooner by someone who understood my symptoms and knew how to treat them. Amy Zellmer is the author of Life with a Traumatic Brain Injury: Finding the Road Back to Normal. In conjunction with the 5-year anniversary of her injury and Brain Injury Awareness Month (March), she is traveling around the U.S. for the #NotInvisible social media campaign, speaking to local brain injury groups and using her love of photography to highlight survivors and put a face on brain injury (www.facesoftbi.com). She has also teamed up with CTE Hope and Simpson College to conduct a research study to bring awareness to brain injury. Disclosure: Zellmer reports no relevant financial disclosures. 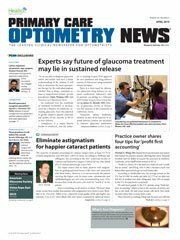 Disclaimer: The views and opinions expressed in this blog are those of the authors and do not necessarily reflect the official policy or position of the Neuro Optometric Rehabilitation Association unless otherwise noted. This blog is for informational purposes only and is not a substitute for the professional medical advice of a physician. NORA does not recommend or endorse any specific tests, physicians, products or procedures. For more on our website and online content, click here.